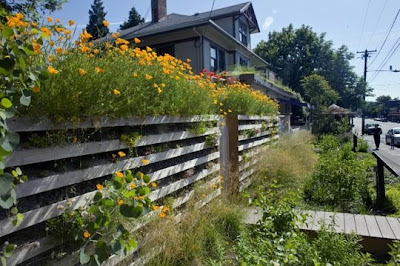 The Oregonian gives us this piece on a few of Portland's urban wall gardens, and makes a good point in the process: wall gardens are like green roofs that you can see and enjoy. Besides being beautiful, they can be used for soundproofing, well more like reduce some of the street noise. 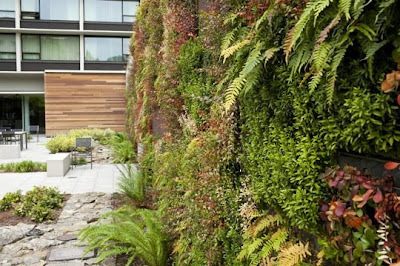 Onter benefits are keeping heat in the winter, insulate walls to keep interiors cool in the summer, and provide "evaporative cooling" if you just happen to be strolling by.